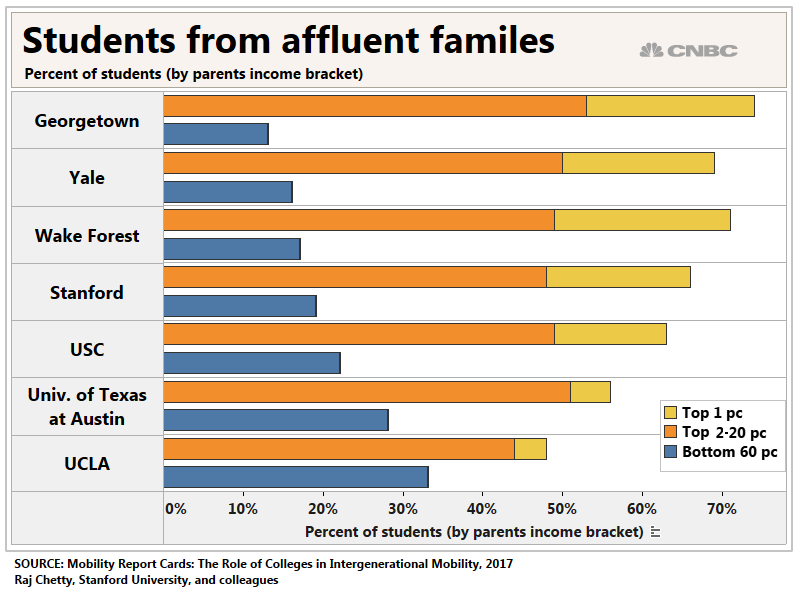 Less than 5 percent of students at Ivy League and other elite colleges come from families in the bottom 20 percent of the income distribution. More than 14 percent of their students hail from the 1 percent, according to a 2017 study. 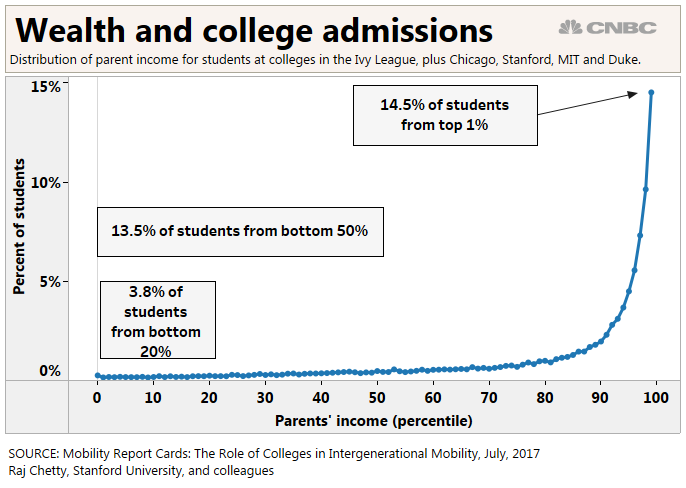 The data comes from a report titled Mobility Report Cards: The Role of Colleges in Intergenerational Mobility by researchers at Stanford University, Brown University, University of California, Berkeley, and the U.S. Treasury Department. 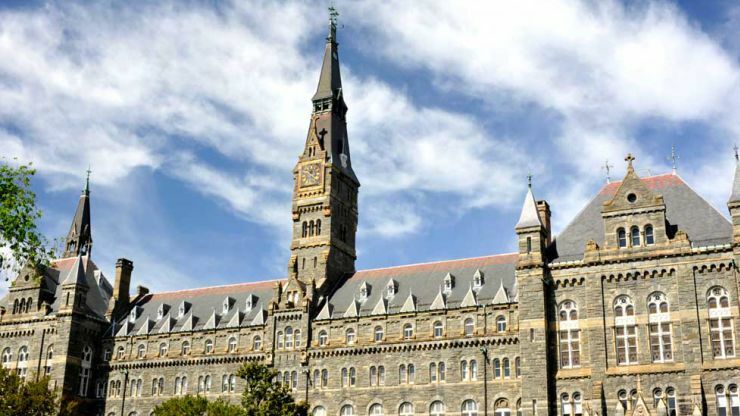 A spokesman for Yale University said the college was making great progress on this front, adding that a record number of students qualified for Pell Grants — meaning their families earned less than $50,000 — in the 2019 class. Still, children from wealthier families benefit from a whole range of advantages when it comes to getting into college, said Elaine Griffin Rubin, senior contributor and communications specialist at financial aid site Edvisors. Meanwhile, less-affluent families suffer from wage stagnation and the rising cost of tuition. One year at a nonprofit, four-year private college, including tuition, room and board, currently costs $48,510, compared with $22,240 in the 2000-2001 academic year. At the same time, the median family income, after accounting for inflation, was $59,039 in 2016, little different from in 2000 ($58,544).